When I asked Steven Knight, the writer and director of gripping British drama Locke, whether or not he would consider directing from a script that wasn’t his own, his response was immediate; “No, I couldn’t conceive of doing that, I’d feel for the writer!” With a screenwriting résumé that includes Dirty Pretty Things, Eastern Promises, and Peaky Blinders, it’s a position that Knight has often been in. Last year saw his first foray into life behind the camera with the underwhelming Jason Statham vehicle Hummingbird, but his sophomore effort is anything but. Bolstered by a knockout performance from Tom Hardy, Locke is a fascinating and clever opus that gets the most out of its simple premise. I got a chance to speak with Knight ahead of the film’s UK release this week, and he talks to us about cutting down 30 hours of footage, his directorial experience on the film, and Hardy’s Welsh accent. Have a read below. Amon Warmann: In many ways, this is quite a unique film. How did you go about pitching it to Tom? Steven Knight: It was actually curiously effortless. I was meeting Tom about a different project and I got talking about these different things in my mind of doing a film about a really ordinary man who had an ordinary tragedy if you like and shooting it in sequence, a one man show that’s in a car. I discussed the character with him and he loves theatre and he loves the idea so when I wrote the script I believed he would do it. I wrote the script and by February [of last year] we were shooting. AW: Was the Welsh accent already in the script or was it Tom’s idea? SK: It was Tom’s idea. I wanted the character to be the most ordinary person in the world. He’s married, he’s got two kids, works in construction. I also wanted him to come from a working class background. Tom has got a friend who is Welsh who he considers to be an ordinary bloke so that’s the accent that he fixed upon. It’s perfect because it’s quite soothing, it’s quite calm and Tom spent quite a lot of time listening to Richard Burton reading ‘Under Milk Wood’ before we started. AW: I heard that you ended up with 30 hours of footage for this film which you then had to edit into a 90 minute piece. What were the reasons a particular cut or scene didn’t make it into the final film? SK: Given that it’s a Herculean task to cut that down in a conventional way, I decided that all choices would be on the strength of the performance. We were looking for the best performance of each particular phone call so we broke it down into each sequence of phone calls and then looked for the best one. We’d always have three cameras rolling at all times when we were shooting it so we’d always have three options that we could cut between. When you have one criterion for selecting stuff it makes the editing process much easier. AW: What was the screenwriting process like and did it change much while you were shooting? SK: The process was very quick and I’ve found that when stuff comes quickly it’s usually good because if it’s slow there’s a reason for it being slow because there’s a problem. The sequence of events in terms of the night of the journey and the phone call came quite easily. What was great about the process was since it wouldn’t have been possible for Tom to learn all 90 minutes of the script we had two autocues in front of Tom at all times and one in the rear view mirror. So he always had access to the script and he himself likes to work from the script without varying from it, which is great. Obviously the other actors had the script in front of them and they were reading it which meant we could stop worrying about the words if you like. The input and the improvisation came in the performance of each one, so there were such a variety of performances that we always had options. AW: This is your second film as a director. How different was the directorial experience this time round compared to Hummingbird? SK: Well it was quicker [laughs]! It was a different thing. To make a film like Hummingbird you have to do it in a conventional way. This story was selected and chosen because it was possible to do it in this way, and I was just looking at finding a new way of putting something on the screen that people would engage with and really just capturing one performance. AW: Would you ever consider directing from a script that wasn’t your own? SK: No, I couldn’t conceive of doing that, I would only ever direct my own stuff. I’d feel for the writer [laughs]! It’s always a painful process when you hand it over. Whenever you write a film in your head you can see it perfectly executed so part of the reason for wanting to direct stuff of my own is an attempt to take the film that’s in your head and put it on the screen. It’s never exact but you try and get the percentage high. Locke is the film that is most like the film I had in my head out of any of the things I’ve done. AW: You’re reteaming with Tom on a new British TV show called Taboo. What can audiences expect from that? SK: I’m not sure how much we are allowed to reveal at the moment but it is a period piece, and it’s starring Tom with Ridley Scott executive producing and we start shooting that in January. This article was originally published at This is Fake DIY. This entry was posted on April 19, 2014 by Amonymous. 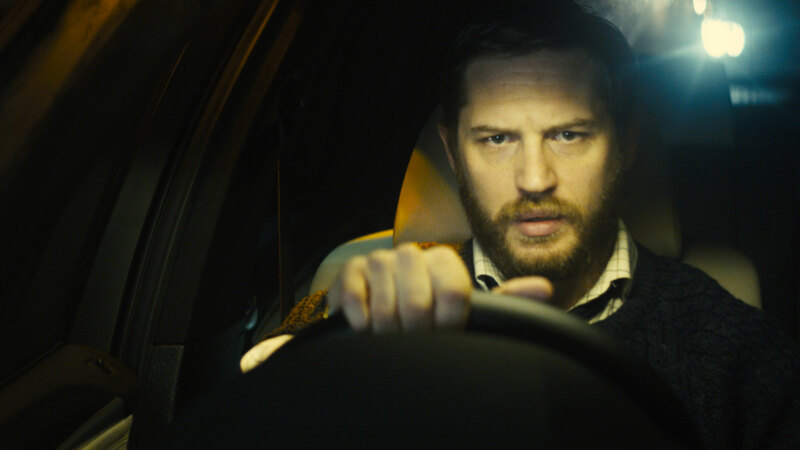 It was filed under Interviews and was tagged with Locke, Steven Knight, Tom Hardy.